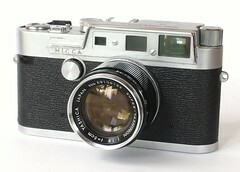 The Yashica YF is an interchangeable-lens rangefinder produced by Yashica in 1959 after absorbing Nicca; it is based on the Nicca IIIL. 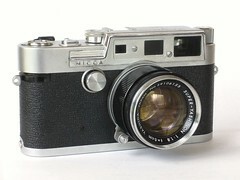 There are two shutter speed dials, the one on the top has speeds ranging from 1/60 to 1/1000s, while the front dial has speeds from 1s to 1/30. 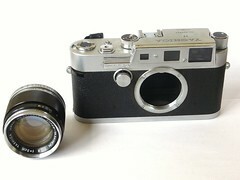 The viewfinder has parallax corrected framelines at 50 and 100mm. 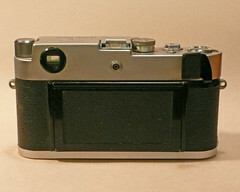 The film loading and film advance is in the back of the camera. 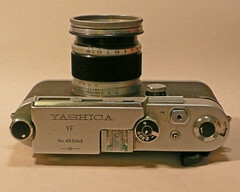 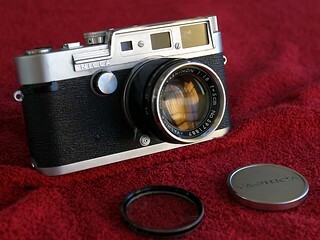 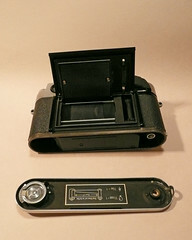 Yashica YF, Super-Yashinon f1,8/5cm lens.